Dental crowns and dental bridges are two solutions that can support damaged teeth or fill a gap where a tooth has been lost. A crown is a simple cap that goes over an existing tooth once its structure has been compromised. A bridge is made up of a row of crowns. The end ones are anchored to existing teeth, while the ones in the middle are suspended into a gap to restore the look and function of your smile. If your tooth has been affected by decay, a filling, inlay or onlay may be the right way to stop the decay from damaging your oral health. An inlay fits inside the top edges of the tooth and is similar to a filling, while an onlay extends over the tops of the tooth. Our fillings are available in tooth-colored materials to blend in perfectly with your natural teeth so that nobody knows it’s there. 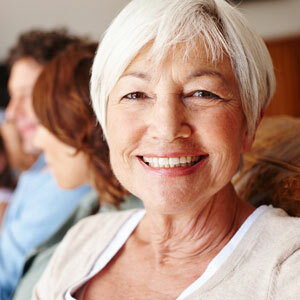 Uncomfortable, ill-fitting dentures are a thing of the past. At our practice, we offer full or partial dentures to replace your upper or lower arch or both arches. We’ll work with you to discuss which materials are most appropriate for your situation, working with your individual needs and budget. Once you’ve received a dental implant from a surgeon and a healing time has passed, you need a restoration placed so that your procedure is complete. We can fit you with a crown, bridge or denture, securely affixing it to your implant. To schedule your appointment, contact us today! We’re providers with health funds, including most PPO plans in our area. If you don’t have dental coverage, we offer payment plans with 0% financing.